The 'Sleeping Beauty' castle, (Deutsche Märchenstraße) in Hofgeismar on the Germany Fairytale Route. Just off the Fairytale Route is the enchanting Rothenburg ob der Tauber Plönlein square. Have you explored the fairytale route yet? One of Germany’s most enchanting scenic routes, the 600km German Fairytale Route transports you to the magical world of the Brothers Grimm, who travelled around Germany 200 years ago collecting and recording stories that were to become some of the world’s most famous. Officially beginning in their birthplace of Hanau, just outside of Frankfurt, and ending in the north-western city of Bremen, travellers can lose themselves in the winding streets of medieval towns, the grottos and bewitching castles – the very places where stories such as Cinderella, Rapunzel, Snow White, Hansel and Gretel and Little Red Riding Hood were born. The heart of the Fairytale Route lies in the numerous towns surrounding the city of Kassel, where the brothers lived and worked for many years. Head to the areas surrounding Marburg, where they studied, to see Rapunzel’s tower and many other motifs which appeared in the illustrations of the famous fairy tales. 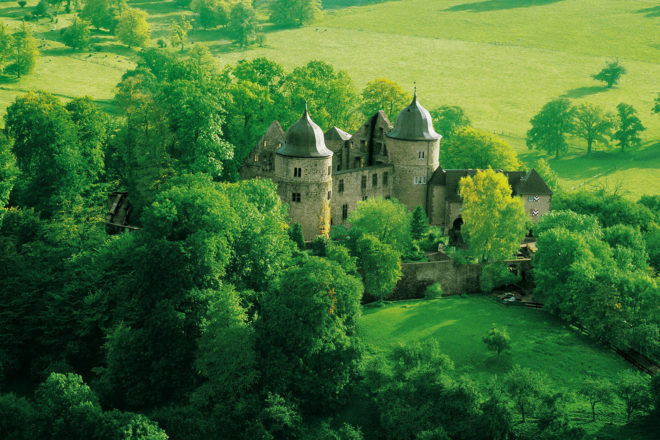 In Hofgeismar, you can even stay overnight in Sleeping Beauty’s castle. Within Kassel is also the stunning Bergpark Wilhelmshöhe, a UNESCO site and Europe’s largest hillside park. To be discovered further north along the route is the town of Hamelin, home of the Pied Piper. As the story goes, a rat catcher was called to the town in 1294 but was subsequently cheated of his fee. In revenge, he lured the children from the town by playing enticing melodies on his flute and they were never seen again. To pay homage to the town’s connection to the tale, the pavements in Hamelin are painted with thousands of rats leading visitors through the winding lanes, the timber-framed houses and sandstone buildings to the main attractions of the town, many of which date back to the Renaissance period. What do you get when you cross a donkey, a dog, a cat and a rooster? 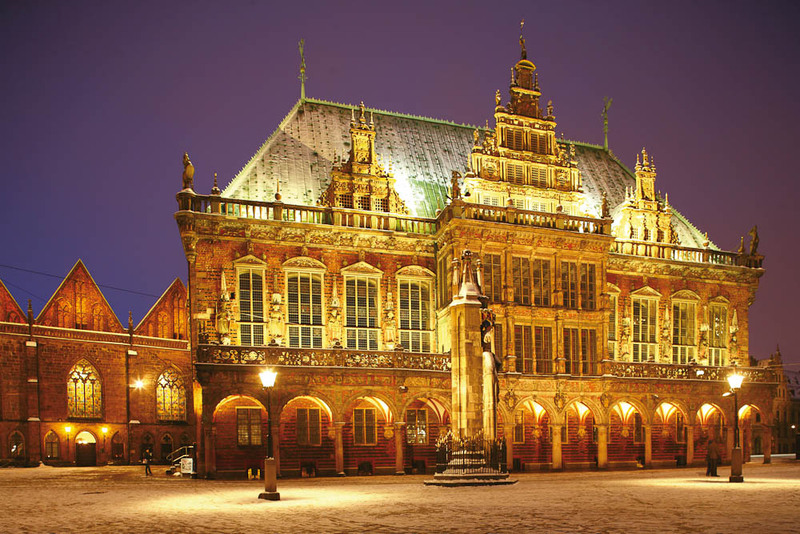 End your fairytale journey in Bremen, a cosmopolitan, maritime city with more than 1,200 years of history. This city was the destination of the famous Town Musicians: a donkey, a dog, a cat and a rooster, who left their respective farms to try their luck as musicians in a city known for its freedom. Nearby to the main market square is a bronze statue of the animals, and touching the donkey’s leg (with both hands!) is said to bring good luck. All the way along the route, it is possible to lose yourself in a realm of German fairytales, sagas, myths and legends which are still widely celebrated and kept alive; open-air plays, puppet theatres, fairytale festivals, themed meals and medieval Tafeleyen feasts are often hosted in several towns throughout the year, where you might even bump into some of your favourite fairytale characters. A place for the young and the young at heart, the journey along the German Fairytale Route is one of those delightful experiences where childhood dreams and memories can very much come true. Click here for more information on the German Fairytale Route.